The long curly locks in his Wanted poster are shorn, though he wears earrings. He still has tattooed on his neck the rainbow-and-lightning Weathermen logo that appeared on letters taking responsibility for bombings. And he still has the ebullient, ingratiating manner, the apparently intense interest in other people, that made him a charismatic figure in the radical student movement. Now he has written a book, ”Fugitive Days” (Beacon Press, September). Mr. Ayers, who is 56, calls it a memoir, somewhat coyly perhaps, since he also says some of it is fiction. 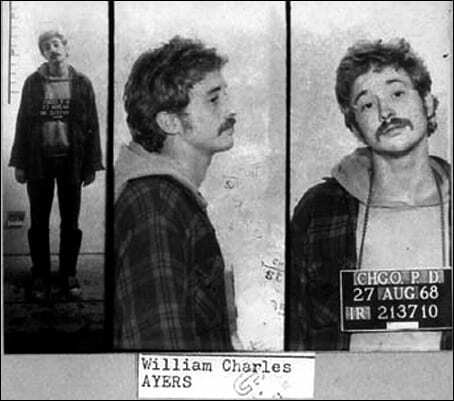 But Mr. Ayers also seems to want to have it both ways, taking responsibility for daring acts in his youth, then deflecting it. (Excerpt) Read more at http://query.nytimes.com/gst/fullpage.html?